The two events from the PokerStars World Championship of Online Poker (WCOOP) to take place last night were both $1 million-plus events. The marquee event was the $25,000 buy-in heads-up no-limit hold'em event, wherein 64 entrants, including some of the best in the world, plunked down 25 grand to take a shot at a $560,000 first-place prize. The other major event of the night was a two-day, $1,000 no-limit hold'em event, which will resume and play to completion today. Read the heads-up event recap below to find out who the winner was, and check out the entire WCOOP schedule and results list on CardPlayer.com. The $1.6 million-guaranteed, $25,000 buy-in heads-up no-limit hold'em event had well over 64 entrants before the event began, but since no byes were allowed, the field was cut down to the first 64 players to enter. Those 64 entrants represented an incredibly star-studded field mixed with poker superstars and respected online pros. With $1.6 million on the line in the prize pool and $560,000 tucked away for the first-place finisher, the heads-up battles would be tense and fierce. The winner would have to survive six heads-up matches, likely all versus experienced foes, to snag the top prize. The pros who made it into the Sweet Sixteen matchup — the third heads-up match, which was effectively the money bubble — but fell short included Daniel "KidPoker" Negreanu, Chris "Genius28" Lee, Tom "Hold_emNL" Dwan, John Duthie, Alex "EC10" Venovski, ahh_snap, Scott "gunning4you" Seiver, and Dario Minieri. ElkY and stevesbets became the first two players to eliminate their opponents and make the Final Four. Griffin then took out fellow PokerStars pro Ramdin on his way to the semi-finals, while their Team PokerStars teammate Rousso fell to zivziv. All four eliminated players earned $100,000. ElkY took out Griffin in fairly short order by taking down a big pot with trip aces and then eliminating his foe with pocket aces versus top pair. While he awaited his final match, stevesbets faced off with zivziv. Stevesbets took most of zivziv's chips with a full house against zivziv's trip fives, and zivziv was out shortly thereafter. Zivziv and Griffin earned $160,000 for their efforts. The final match between ElkY and stevesbets. 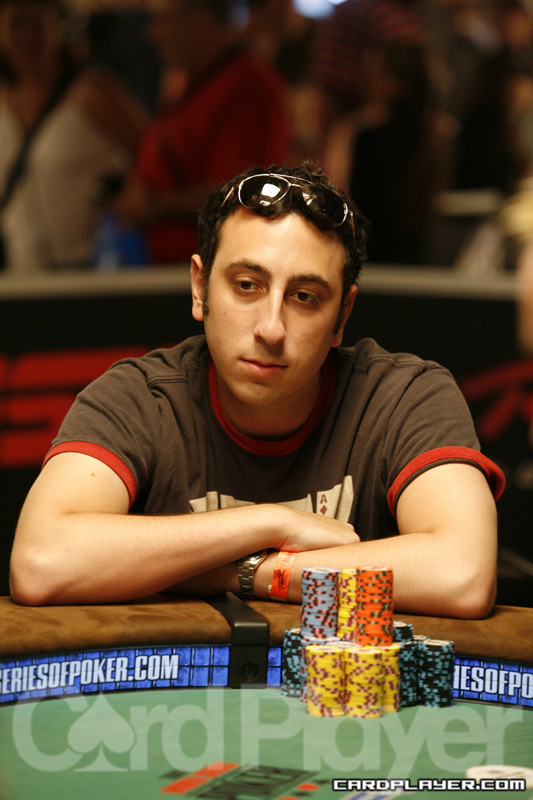 Stevesbets had been deep in a WCOOP heads-up tournament before, coming in third in an event in 2004. ElkY and stevesbets played out their hands at warp speed. Onlookers commented that it looked more like a computer replay rather than two actual humans facing off. In the end, ElkY got it all in with pocket threes versus stevesbets pocket eights. The dominated threes failed to catch up, and ElkY was out in second place ($320,000). Stevesbets earned $560,000 for his first-place finish in the event. The $1,000 buy-in, $3 million-guaranteed no-limit hold'em WCOOP event kicked off last night and ended day 1 after 22 levels (12 hours) of play. The event lured 3,467 entrants, all but 43 of which were knocked out on the first day. The attendance built a prize pool of $3,467,000. The two-day event will resume and conclude today at 4:30 p.m. ET with the remaining 43 players, all of whom are guaranteed at least $6,240 for their efforts. The first-place prize in the event is $468,000, and I'am_Sound and BJKing are the two players with the best chance of snagging that prize, in terms of chip count, as they are in first and second place, respectively, going into day 2. 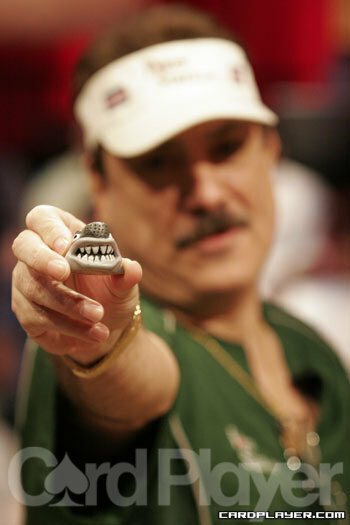 Team PokerStars pro Humberto Brenes is also among the chip leaders; he will start day 2 in fifth chip position. Along with the conclusion of that event, today will feature two new WCOOP events. The first is a $500 seven-card stud eight-or-better tournament with a $200,000 guarantee, which starts at 2:30 p.m. ET. Then, two hours later is another eight-or-better event, a $500 six-handed Omaha event with an alternating mix of limit and pot-limit. That event has a $200,000 guarantee, as well. Check out the entire WCOOP schedule and results on CardPlayer.com’s WCOOP landing page.